ST. GEORGE — A woman was arrested in Washington County Sunday after deputies say they found her living with her two young children in unsafe, “filthy” conditions with no immediate access to food. 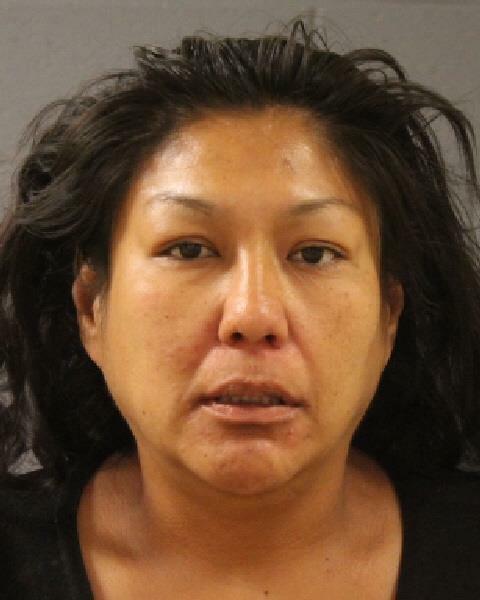 Virginia Mary Martinez, 39, was charged with one third-degree felony count of child abuse and booked into Purgatory Correctional Facility on $5,000 bond. Washington County Sheriff’s deputies responded to a residence in the Shivwits Indian Reservation on report of a loud argument between Martinez and an adult male. Responding deputies said Martinez appeared to be intoxicated and was easily agitated and hard to reason with, according a probable cause statement written in support of the arrest. “The inside of the trailer was destroyed,” the arresting officer wrote of Martinez’ residence, noting that there were holes in the walls, floors and ceiling. The officer noted that two children were living inside, a 2-year-old girl and a 3-year-old boy. “Both kids were very dirty and did not appear that they were being cared for very well,” the officer wrote. The boy appeared to have mud all over him and had bruising and a rash on his body, according to the police report. The officer said the child was eating what appeared to be old noodles that were drying out and changing color. The girl’s hair was matted down, and she was suffering from a skin condition, according to the probable cause statement. The arresting officer described the home as having inadequate toilet and bathing facilities and being infested with bugs and cockroaches. Both children appeared to have possible bug bites, the report stated. Deputies had previously responded to the residence days before and observed the 2-year-old girl playing on the home’s broken porch. Deputies advised Martinez to keep the girl away from the edge, to which she responded by saying her daughter knows better because she had already fallen off it before, according to the police report. At that point, the girl fell off the porch, according to police, and medical personnel were called to the home to evaluate the girl. A caseworker from the Division of Child and Family Services of the state’s Department of Human Services was called to the residence Sunday, who, upon interviewing Martinez, found the family had no food in the home and no means of transportation to acquire some, according to the police report, which also noted that the 2-year-old’s condition required her to be in a sterile environment. DCFS has taken custody of the children. Martinez is currently jailed at Purgatory Correctional Facility on unrelated charges of assault and intoxication. Washington County Sheriff’s Office did not respond to St. George News’ request for information about the unrelated charges Friday. Ed. note: Report revised to include information about unrelated charges for which Martinez is currently jailed. the gov’t is really not very efficient at protecting children are they? also should have got ‘mom of the year’ here spayed a long time ago. What is the unrelated charge? How does the criminal action affect these children? You can’t leave that out of your report. Tired of reading about selfish adults and their “men” issues and why a man has ruined their life. Mother: you have children, set aside your personal issues and take care of them please. Our ancestors took care of their children and they did not own a vehichle. Kids deserve a chance at a healthy and love-filled life! Period! So, stop playing victim and throwing yourself pity parties and take care of your kids! Thank-you..